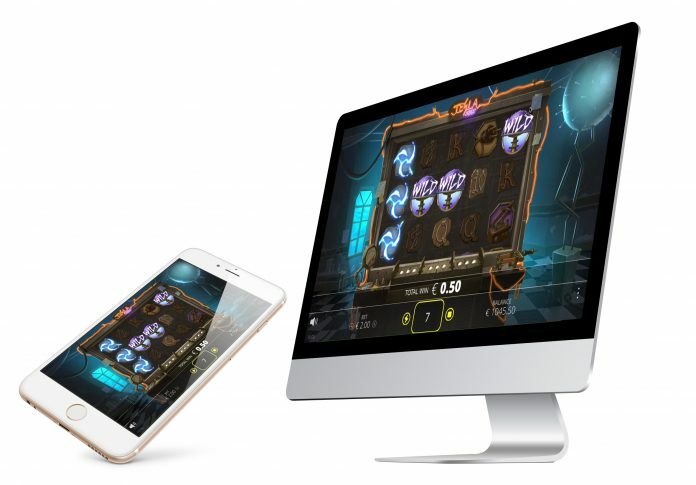 Online casino platform and game developer Nolimit City have launched, Tesla Jolt, an online slot inspired by one of the most renowned inventors in history. Taking inspiration from Nikola Tesla, the latest game title by Nolimit City will give players a tour of the mastermind’s headquarters. The five by three reel, 20 bet lines slot machine is inspired by the mysterious inventor that changed the world with his inventions and still makes a massive impact on our daily lives. The game is set inside Tesla’s Laboratory, accompanied by a wicked lightning storm raging outside the window, setting the mood to brew some ingenious revelations. The game’s features will keep players engaged and offer more on the next visit. Boasting the self-titled ‘Tesla Jolt’ feature you can count on being rewarded with ample wilds, giving nice wins to celebrate. You can also achieve a free spins mode by unlocking the ‘Tesla Spins’ feature which can generate an almost unlimited amount of free spins. Tesla Jolt has been developed in HTML5 and is fully optimised for both desktop and mobile platforms, iOS, and Android. It comes with a brand new user interface, that is perfectly adapted for play on all mobile devices in both landscape and portrait. Nolimit City is firing up more games along 2018, with a commitment of a steady roadmap of game titles to be delivered throughout the rest of the year. Tesla Jolt marks the eight release for the provider.